Happy Howlidays Friends! Miss Olive is SO excited to announce our Einstein Pets Holiday Treats Giveaway! 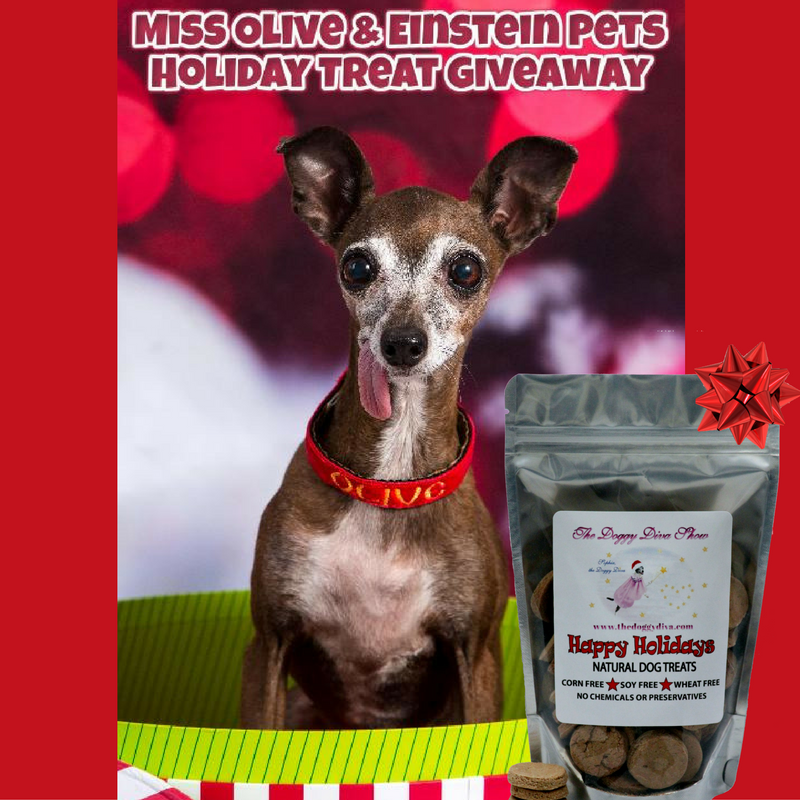 As a special gift to some her most favorite furry friends Miss Olive will be giving away one full size bag of Einstein Pets “Happy Holiday” Treats each Friday in December! Miss Olive LOVES these delicious all natural festive treats – made with oat flour, nitrate-free white turkey, cranberries, peas, honey, cinnamon, chia seeds! Yum Yum Woof – a holiday meal just for your dog in a treat – and it’s natural and healthy – whoo-hoo! !